Ofra Strauss is the daughter of Michael Strauss and has followed in her father’s footsteps. She completed her studies at the Faculty of Law at TelAvivUniversity in 1987. After serving as a regional manager at Estée Lauder in New York, Ofra returned to Israel, and since 1989 has held a variety of positions in the Group. She has served as Chair since 2001. In addition to her job in the Company Ofra holds a number of public positions: Former Chair of Maala – Business for Social Responsibility; the initiator and person responsible for the establishment of the Catalyst Index in Israel; President of Jasmine – Jewish-Arab Businesswomen’s Association; Chair of the Israel-America Chamber of Commerce. Since 2003 she has been ranked in 42nd and 47th place in Fortune’s List of Most Powerful Women in Business, and in 2009 and 2010 she was ranked 12th and 16th in the Financial Times’ list of the Top 50 Women in World Business. Dr. Ovadia has been a member of the Board of Directors since 1997 and also serves on the boards of several other companies, including Oil Refineries Ltd., Carmel Olefins Ltd., Israel Petrochemical Works Ltd., Giron Development and Building Ltd., New Destiny Investments Ltd., Elron Electronic Industries Ltd., Scailex Corporation Ltd., Maxtech Communication Networks Ltd., Compugen Ltd. and Teva Naot Ltd. He holds a Ph.D. in Economics from the WhartonSchool of the University of Pennsylvania. Mr. Mosevics has been a member of the Board of Directors since 1978. He holds a degree in law from the Hebrew University of Jerusalem and is a partner in the law firm Yossi Avraham & Co.
Chemi San Ltd., Delek-San Recycling Ltd., Xenia Venture Capital Ltd., Sano Intertrans Ltd., Shani-Aharoni Holdings Ltd. Is also a director in a number of nonprofit organizations. Formerly served as a director of Maccabi Group Holdings Ltd. and GSE Capital Markets Ltd.
Mr. Shanie holds a bachelor’s degree in Economics and Accounting and an MBA from Tel Aviv University, and is also a Certified Public Accountant. Adi Strauss is one of the owners of Strauss Group and the son of Michael Strauss. Adi started out in the Company in 1991 concurrently with his activity in a successful restaurant chain venture in the US. In 1997, following the merger with Elite, he returned to manage Elite Coffee and also managed the Company’s entire institutional market operation in Amsterdam. Under his management, the merger between Strauss’s and Elite’s institutional activities was executed (2000-2003). Adi subsequently embarked on private business and has been involved in the management of long-term investments, international real estate acquisitions, the establishment of restaurants and concept hotels. In 2009 he founded the “Achim” (Brothers) program with his family with the aim of providing personal and professional support for the advancement of children and soldiers at risk, and has since remained active in promoting and leveraging this program. Prof. Shemer, who is married and the father of five, is a graduate of the Hebrew University Hadassah Medical School, an internist and an expert on medical administration, and Professor (emeritus) of Internal Medicine at the Sackler Faculty of Medicine, Tel Aviv University. Prof. Shemer has held key positions in the Israeli healthcare system, including Surgeon General of the Israel Defense Forces, Chief Executive Officer of Maccabi Health Services, and Director General of Israel’s Ministry of Health. For the past few years he has served as active Chairman of the Board of Assuta Medical Centers, the largest private hospital network in Israel, and as a member of management of Maccabi Health Services and its institutions. Professor Shemer is also a highly experienced director and has served as a director and as chairman of board committees in a number of companies, including El Al Airlines, Compugen and Maccabi Health Services. Ms. Haimovitch has served as a member of the Board of Directors since 2003. She is CEO of Strauss Investments (1993) Ltd. and also serves as a director of Rav Etgar Ltd. and Reshet – Noga Ltd. She holds a B.Sc. in Economics and Management from the Technion – Israel Institute of Technology and an M.Sc. in Economics, also from the Technion. Mr. Midyan holds a bachelor’s degree in Economics and Management from the Technion in Haifa. He has held a variety of positions in Strauss Group, including brand manager at Strauss Dairies (1991-1992), marketing manager for Whitman Ice Cream (1994-1996), and marketing director at Yotvata Dairies (1997-1999). Since 2006 Mr. Midyan has been CEO and owner of the investment fund, Midyan Investments Ltd., and since 2009 he has also served as chairman and co-owner of Chemital, which specializes in coating technologies for the infrastructure, construction and security industries. In addition, he has served on the board of directors of Strauss Holdings since 2004. Until 2015, Ms. Narkis served as Chair of ManpowerGroup Israel and Director of the East Mediterranean Countries in the ManpowerGroup global organization, which is active in 82 countries, and as a member of the group’s global management team. In this capacity, she was responsible for global business operations on a scale of NIS 3 billion, and as part of her activities, mentored hundreds of senior executives all over the world. Ms. Narkis served as ManpowerGroup Israel’s CEO and its Vice President of Business Development and the owner and CEO of Marom, a company engaged in training children and teens in computer applications. She is among the leading figures in Human Resources in Israel and brings with her rich, diverse global experience. In addition to her professional roles, Ms. Narkis is involved in extensive social activity: she is a member of the Israeli government’s Directors Team, a member of the board of directors of the Israel Association of Community Centers and chair of its finance committee, a member of the executive committee of the Academic College of Tel Aviv – Jaffa, and for a decade served on the executive committee of the Afeka Tel Aviv College of Engineering, a member of the executive committee of ELEM Youth in Distress, was president of the Union of HR Companies in the Coordinating Bureau of Economic Organizations, a member of the Taub Center for Social Policy Studies in Israel’s response team, and vice president of IWF (the International Women’s Forum) Israel. Dr. Haj-Yehia, married with two children and resident of Taybeh, has a PhD in Macroeconomics from MIT, an MBA in Finance and Banking, an MA in Economics, a BA in Accounting and Economics and an LLB from the Hebrew University of Jerusalem. He holds a license to practice law after having completed his internship at the Herzog Fox Neeman Law Office, and also completed an accounting internship at Deloitte. Dr. Haj-Yehia has held a series of senior positions in the US with major consulting and investment firms, including six years as Vice President of Financial Engineering at Fidelity Investments. Dr. Haj-Yehia’s academic experience includes lecturing positions in a variety of courses on economics, finance and entrepreneurship at several leading universities in the US and Israel, including Harvard, MIT, the Hebrew University of Jerusalem and the IDC Herzliya. He is a member of the board of directors of Bank Leumi and a member of several of the board’s committees. He also chairs the audit committee of the Hadassah Hospital in Jerusalem and is a member of the Council for Higher Education of Israel. Dr. Haj-Yehia is extensively involved in voluntary social activities in a number of organizations such as Kav Mashve for the advancement of employment opportunities for the Arab community and Collective Impact. 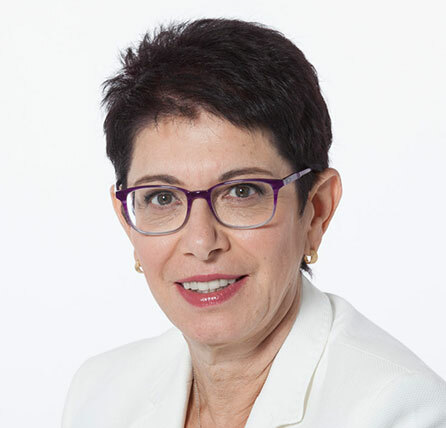 Ms. Maor served as President and Chief Executive Officer of the Bank Leumi group from 1995 to 2012, after having served as the Bank’s Deputy Chief Executive Officer from 1991. She has extensive experience in finance and banking, in Israel and internationally. From 1963 to 1989 Ms. Maor held a series of senior executive positions at the Bank of Israel, including Supervisor of Banks. She is a member of the boards of directors of Teva Pharmaceutical Industries Ltd. and of Equity One Inc., and a member of the Open University of Israel Council and its finance committee. She is also Chair of the Friends of Sheba Medical Center in Israel and a member of the board of directors of Social Finance Israel. Ms. Maor holds a bachelor’s degree in Economics and Statistics and an MBA from the Hebrew University in Jerusalem. She has received honorary doctorates from the Technion – Israel Institute of Technology, Ben-Gurion University and Bar Ilan University.